Welcome to the new edition of the SOLIDWORKS Support Monthly News! This monthly news blog is co-authored by members of the SOLIDWORKS Technical Support teams worldwide. The Yield Strength and Tensile Strength of DIN (or EN) standard metals typically vary with the material thickness. For example, the EN 10025-2 and 10025-3 standards define the guaranteed Yield Strength as a function of the nominal thickness of the product. For S355JR, it is 355MPa when the thickness is inferior or equal to 16mm, and it is reduced to 275MPa for products thicker than 200mm. See below the table of Yield Strength as a function of the thickness of the product for some structural steels. Although the most reliable source is the officially published standard, you can also find Web sites that give tables. In the SOLIDWORKS Material Database, for materials with material properties that vary with thickness, the values are intentionally set to the most conservative value. For instance, for material S335JR, the Yield Strength is intentionally set to the conservative value of 275 MPa (see the table above). 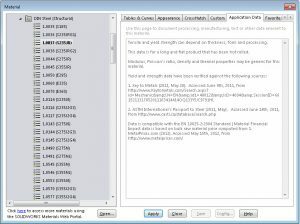 The Application Data tab of the Material dialog box explicitly tells the sources of the material properties, and whether some properties depend on thickness, form and processing. Please consult the applicable standard or your material supplier (whichever is most relevant) for the most appropriate values of Yield Strength and Tensile Strength to use in your simulations. Are you installing or upgrading SOLIDWORKS PDM Web2? 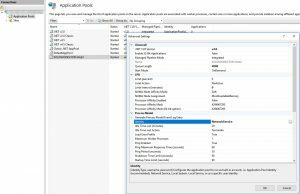 One piece that is often missed when upgrading SOLIDWORKS PDM with Web2 or installing Web2 for the first time is the Application Pool settings. More specifically the ‘Identity’ setting in the Application Pool. But default this is set as the NetworkService Build-in account and it is also reset when upgrading SOLIDWORKS Web2. If it worked before the upgrade with no issue but after the upgrade, there are weird issues. Maybe you are seeing a spinning wheel and nothing is happening. Or previews are not showing as they did before. More than likely it is the Identity in the Application Pool that was reset. The SOLIDWORKS PDM Web2 application on Internet Information Services (IIS) will use the SOLIDWORKS PDM client Application Program Interface (API) to access file vault information. For the API to be able to access the file vault, the Web2 application pool must run under a Windows® user profile with sufficient access to the local registry and application data folder. The client API also requires that this profile also have COM component permissions. For example, the API needs access to cached card images, installed add-ins, and file format plugins etc. When you log in to Windows with a user profile on the IIS server and access the local file vault view, the local application data folders and HKEY_CURRENT_USER registry entries for the vault are created under that profile. This allows the Windows user profile to work in the vault. The user must also have local administrative permissions in order for the Web2 application to function. Select ‘Custom account’ and set the credentials of the user account that you are using for the web server. When creating smart dimensions from the edge of a cosmetic thread to the model edge and from the hole edge to the same model edge in a drawing, why do I see different dimensions? For more information, see Solution Id: S-075758. 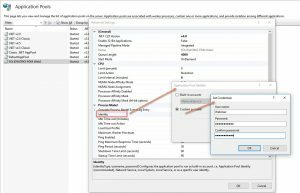 How can I import configuration settings for a SOLIDWORKS® Electrical 2018 with SOLIDWORKS PDM integration into SOLIDWORKS Electrical 2019? For more information, see Solution Id: S-075748. Can I use the SOLIDWORKS® PDM convert task to convert a sheet metal flat pattern to the DXF/DWG file format? To see how to use the Inventor view, follow the steps in Solution Id: S-075797. Is there a SolidPractice available on the topic of “Bolt Connectors Technical Definition, Tips and Tricks”? For additional information, check out solution Id: S-076242. In SOLIDWORKS® Flow Simulation, how do I define and use a refrigerant real gas? For more information, see Solution Id: S-075716. That’s it for this month. Thanks for reading this edition of SOLIDWORKS Support News. Originally posted in the SOLIDWORKS Tech Blog.